Unique index columns are displayed as (UQ) in the diagram. AmaterasERD can import tables from other diagram. This feature called Linked Table supports to handle large database as some small diagrams. In this version, it became possible to refresh Linked Tables. You can apply changes to them easily after you modify the source table in the original diagram. 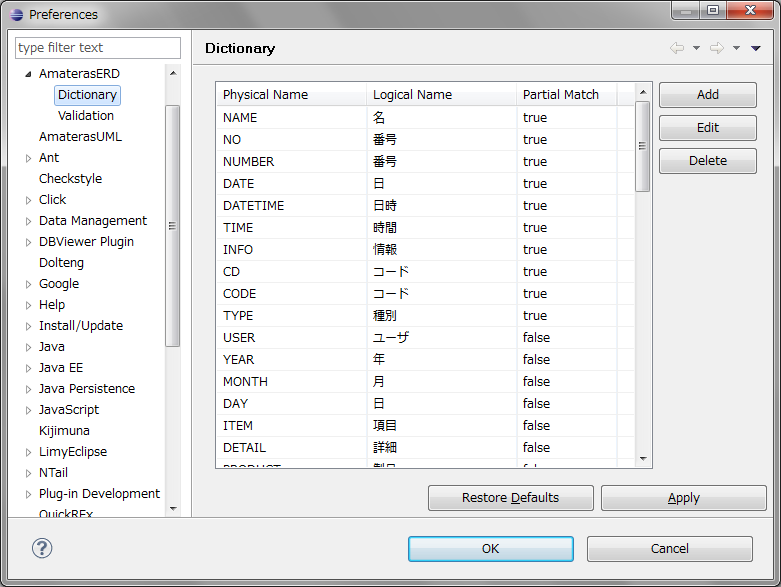 AmaterasERD supports conversion between logical names and physical names. Until this version, it has used only built-in dictionary. In this version, you can customize the dictionary in the preference page.